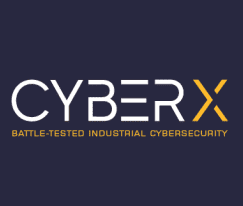 Founded in 2013, CyberX offers a platform that provides asset management, risk and vulnerability management, and threat detection and response capabilities. The company’s technology can also be integrated with products from IT security solutions providers such as Splunk, IBM, Palo Alto Networks, Cisco and RSA, which allows organizations to effectively manage risks in both their IT and OT environments. CyberX says it has seen significant customer growth in sectors such as energy, manufacturing, oil and gas, mining, pharmaceutical, building management, and water utilities. The company claims its customers include two of the top five energy providers in the U.S., a top 5 global pharmaceutical company, a top 5 chemical company in the U.S., and national electric and gas utilities in Europe and the APAC region. Several industrial cybersecurity solutions providers have received significant investments in the past year, including Nozomi Networks, Dragos, Radiflow, Claroty, iS5Com, and Indegy.